A venerable British medical journal has been targeted by 500 doctors worldwide over its coverage of the humanitarian crisis caused by the Israel-Palestine conflict. It has been Britain’s most trusted medical journal for almost two hundred years. The controversy arose after the Lancet, an internationally renowned publication, released an article deemed to be deeply critical of Israel’s conduct in Gaza. Initially revealed by the Independent, the scandal has rekindled debate about freedom of speech and the human cost of the Israel-Palestine conflict. One of the world’s oldest and most well-respected medical journals, the Lancet is viewed by many medical professionals as a go-to medical journal. In July 2014, a group of irate doctors, led by Professor Sir Mark Pepys of University College London, signed and submitted a written complaint to the board of the journal’s publishing company Reed Elsevier. The article, which triggered the complaint, was titled ‘An Open Letter for the People of Gaza’.It was published in July 2014 by the Lancet at the height of hostilities between Israel and Hamas. The open letter was signed by 24 medical professionals and scientists from London to Genoa who cited the humanitarian crisis they witnessed in Gaza. Its content proved highly offensive to doctors worldwide, however, who wrote to Reed Elsevier demanding that the Lancet retract it. They also called for the journal to apologize for publishing the letter, and for Reed Elsevier to ensure “any further malpractice” at the Lancet is prevented. While the letter included eyewitness accounts of the humanitarian and medical crises that unfolded during Israel’s Operation Protective Edge last summer, it did not reference an acknowledgement of Hamas’ role in the hostilities. The doctors, who complained to Reed Elsevier, threatened to boycott the Lancet unless staff at the publishing company enforce “appropriate ethical standards of editorship” on the journal. Observers argue the scandal poses the most significant threat to the Lancet since the publication’s campaigning editor, Thomas Wakley, was swamped with a slew of lawsuits in 1823 for condemning the nepotistic, inept and self-serving nature of Britain’s medical establishment. 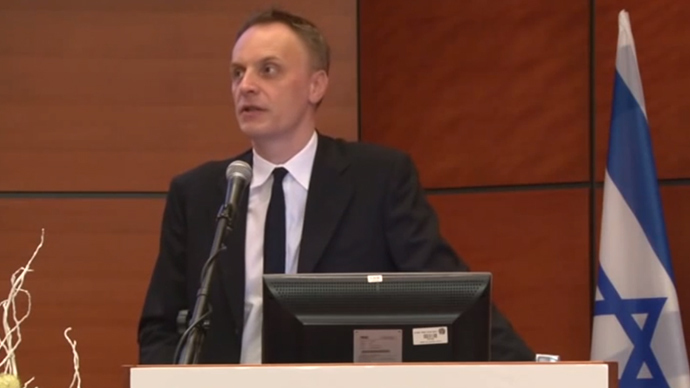 The Lancet's current editor, Richard Horton, has presided over its content since the mid-1990s. Critics say he has molded the journal into a widely accepted beacon for health in a world addled with crisis, violence and unrest. Under his guidance, the journal has cultivated an alliance with academics in the West Bank in a bid to increase transparency regarding the health issues Palestinians face. Controversy relating to the Lancet’s open letter has sparked a counter-campaign in support of both Horton and the journal called Hands Off the Lancet. The campaign, led by Professor Graham Watt of the University of Glasgow, is supported by 300 doctors. The campaign also dismissed accusations of “extremist hate propaganda” as unhelpful and hyperbolic. It said the attempt to force the journal to withdraw the open letter published in July 2014 is but the latest in a long line of maneuvers to silence media coverage of the Israel-Palestine conflict. The Lancet’s global advisory board, which consists of 19 professors, wrote directly to Reed Elsevier on Wednesday to offer its unwavering support for Horton. Fiona Godlee, editor in chief at the British Medical Journal, told the Independent the publication has also been the focus of similar attacks over its coverage of the Israel-Palestine conflict. “Health is a deeply political issue. There is a long history, when Israel/Palestine gets discussed, of the medium being attacked. I don’t think that the Lancet should retract the open letter,” she said. The open letter denounced Israel’s aggression against Gaza, and called upon medical professionals worldwide to speak out against Israeli violence and oppression. It said the burden of military attacks on Gaza is generally born by women and children under the “unacceptable pretext” of Israel wiping out resistance to the siege it imposes on the coastal strip. Specifically referencing Israel’s military assault on Gaza last summer, the letter insisted “the massacre in Gaza spares no one.” Its victims include “the disabled and sick in hospitals, children playing on the beach or on the roof top, with a large majority of non-combatants,” the letter said. The open letter’s signatories stressed the Israeli administration’s conduct in Gaza was an insult to their humanity, dignity, and intelligence. They denounced what they described as a “myth” propagated by Israel that its military aggression is conducted in a humanitarian manner.